The wedding season is just beginning for me. It's a rare chance for me to look back at some of the best wedding venues I shot at in 2012. This is by no means a rating on wedding halls in the area. This is just my account of interesting wedding venues from Portage to Munster and elsewhere that I shot at in 2012 and early 2013. When you drive up to The Allure in downtown Laporte you will see what appears to be an average building in the downtown area. However, when you walk inside, you will be wowed by the spectacular ballroom along with it's dramatic uplighting. 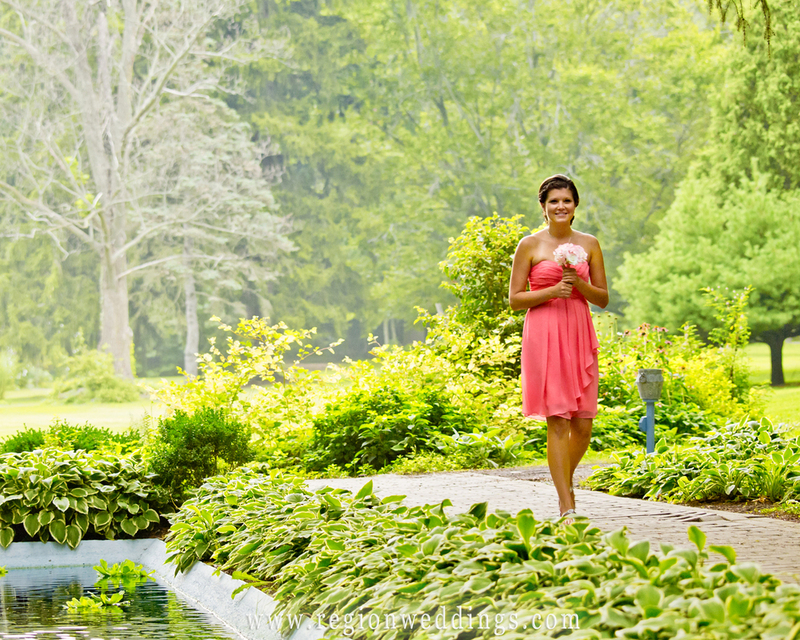 If outdoor weddings are your style, but you are concerned about rain, you should really check out the hidden away International Friendship Gardens in Portage, Indiana. The picturesque greenery can't be seen from Route 20 at all. 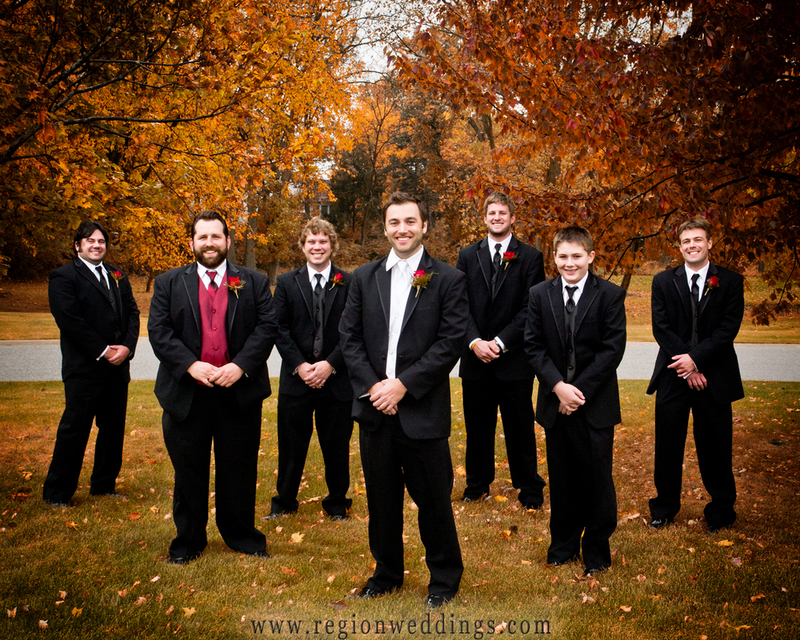 The staff ushers in your guests via golf cart or they can walk down a winding path. They will come upon a hidden paradise. A huge white tent houses open air wedding ceremonies. I have photographed at Avalon Manor many, many times. However, I never tire of it because it is a great venue. Also, clients always find a way to make it their own. Last Fall, 27 Entertainment was there alongside me to provide some spectacular uplighting and of course, a modern sound. 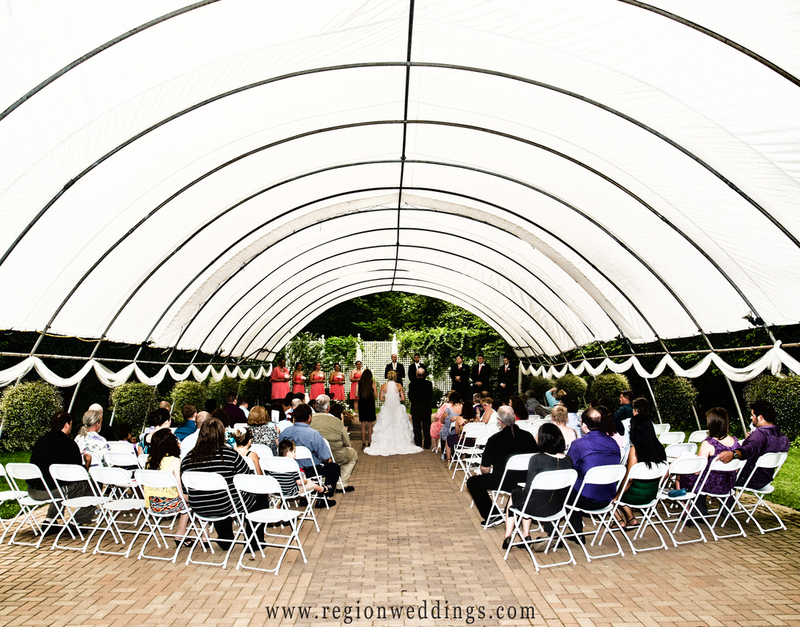 In addition to an outdoor gazebo, Avalon Manor can also provide indoor ceremonies as well. I've had clients book these specifically as well as being forced to due to rain. They do a great job of turing their dance halls into elegant ceremony rooms. I'll never forget the outdoor military wedding of Nathan and Nichole at Wicker Park Social Center. The wind was blowing strong that day as they took their vows underneath the beautiful gazebo. Precision Lighting did an amazing job last Fall of turning the Cloister in the Woods banquet hall into a New Years Eve style dance hall. I have a great time capturing bride and groom Jenny and Dustin amongst the spectacular uplighting. The staff is very friendly and accommodating at cloister in the woods. This was very helpful when we set up a backdrop and studio lighting for Portraits at the Reception. The Center for the Performing Arts is known for art exhibitions and various concerts, but they also put on some great weddings. 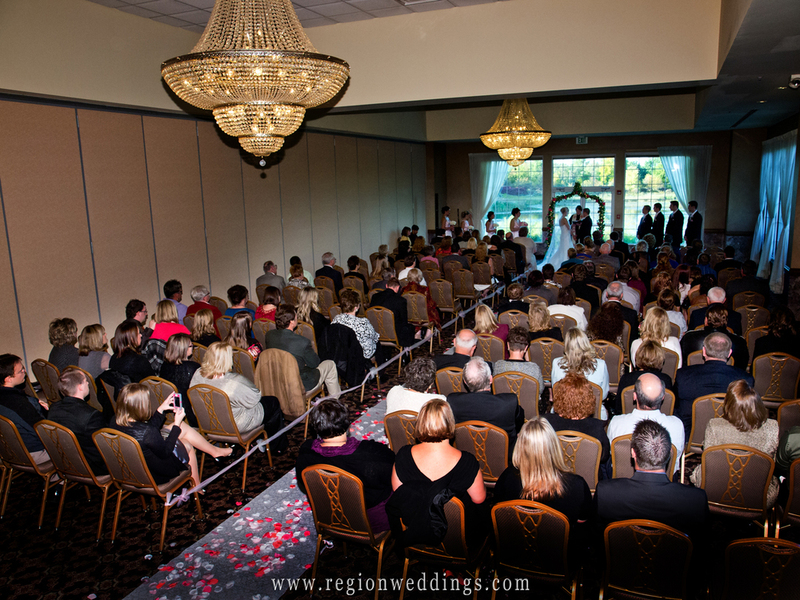 They offer a very upscale atmosphere for ceremonies as well as receptions. I loved the vintage looking mirror in their bridal room as well as their chandelier laden ballroom. The Halls of St. George - Schererville, Indiana. The Halls of St. George is a popular wedding venue for it's outdoor wooded area as well as the large reception rooms on the inside. 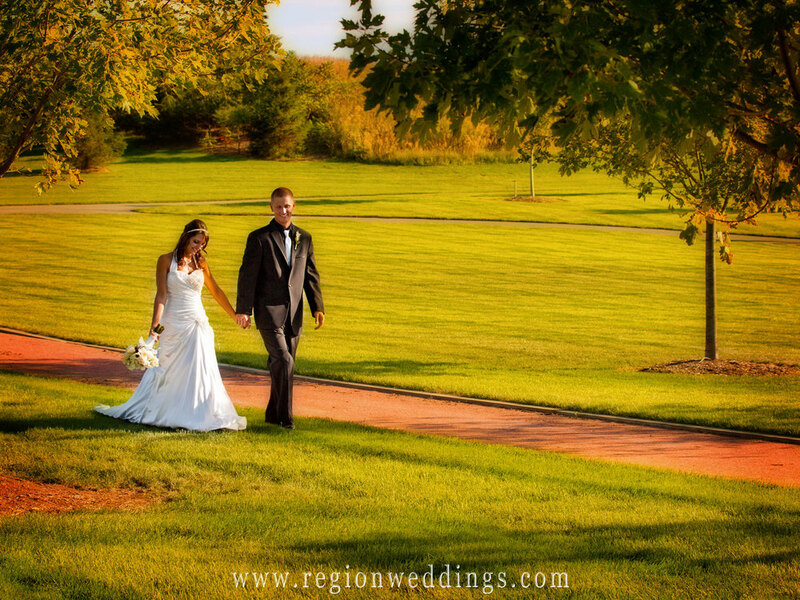 One of the hottest Northwest Indiana wedding venues right now is Centennial Park. they feature outdoor weddings at various spots on their vast landscaped park as well as on the patio of their lakefront clubhouse. 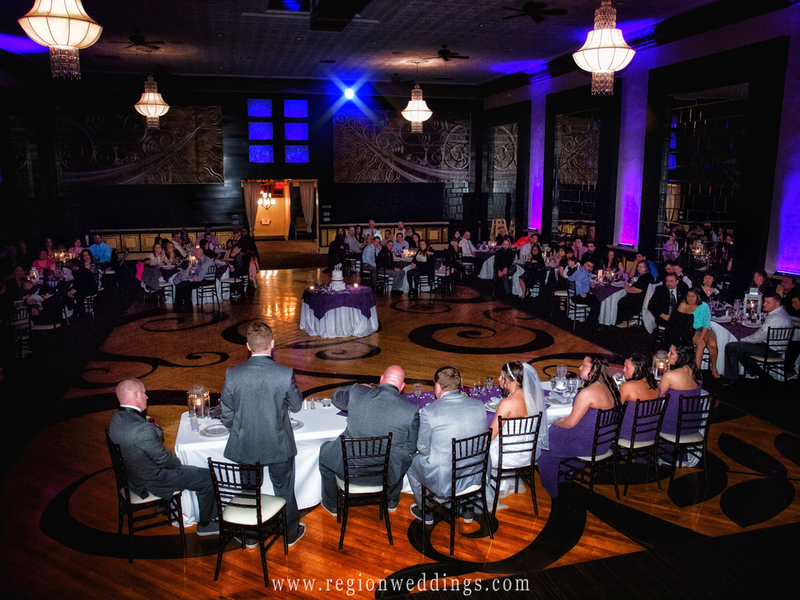 You can see in this reception photo of the wedding party giving their speeches that the room offers a great view and balcony overlooking the lake. I love the wood floor at this venue and I also like that guests can get some fresh air during the reception, not too mention all of the photo opportunities around the park itself. 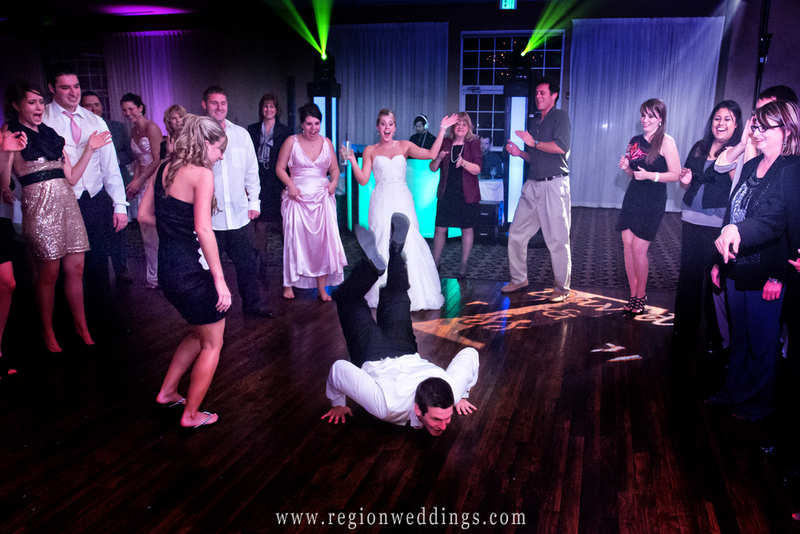 I will be sure to post another entry with more wedding venues in Northwest Indiana and the surrounding areas. For now give these options some thought. You can also search for more wedding venues in the box below.